Nirantar has initiated many interventions over almost two decades. Some of these continue till date; others have culminated but their significance remains, both to Nirantar and to others involved in interventions. Much of Nirantar’s work has and continues to develop organically, with some interventions developing and morphing into others. Here we share some key past interventions undertaken by Nirantar. A bi-monthly news and features magazine, Pitara was born out of our vision to make informative, entertaining and simply written material available for teachers, students, activists and neo-literate readers. Simple, not simplistic had been the motto. A special readership target for Pitara were those who have newly learnt how to read, or those who have basic literacy skills buttend to forget because of a lack of appropriate reading material. Published regularly from 1994-2010, Pitara’s format was modified over the years based on readers’ feedback. The magazine carried news items, articles, fiction, poetry, humorous pieces and photo features. 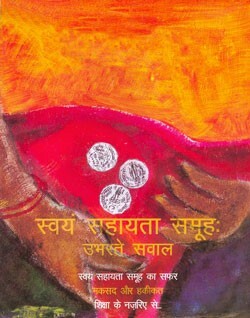 In 1994, Nirantar collaborated with the Mahila Samakhya or Education for Women’s Equality (a national-level government programme for women’s empowerment) in Uttar Pradesh to develop a residential education programme for rural women — the Mahila Shikshan Kendra (MSK), the first MSK in the country. MSK was then adopted by the Mahila Samakhya programme and has since been expanded throughout the country. Curricula captures a vision and approach in a manner that can be transacted with learners. Curriculum development has been a critical part of Nirantar’s work. We have also worked with different organisations to help them develop educational material. Nirantar has both trained and worked with other organisations and programmes to develop a range of educational material in participation with teachers and learners. These publications included newsletters and broadsheets. Mahila Dakiya was one such initiative where Nirantar, in collaboration with Mahila Samakhya (Banda District, Uttar Pradesh) conceptualised and initiated the production of a local newsletter produced by rural women. At the time when Mahila Dakiya was initiated, in the early nineties, the literacy campaigns were at their peak but the large numbers of men and women entering the literate world had hardly any material to read. What little was available was largely didactic and message-oriented. Moreover, most material was centrally produced with little involvement of local communities and newly literate readers. Nirantar felt that to produce material which was responsive to women’s needs, they should be involved in creating the publications. Moreover, we believed that the involvement of newly literate women in such a process would be an excellent way of sustaining their literacy skills. Thus between 1993 and 1997 Nirantar conducted training workshops and follow-up activities to facilitate the transfer of writing, editing and design skills to a mixed group of neo-literate and literate women. Each issue of Mahila Dakiya included reports and comments on issues that the programme had dealt with. The newsletter also included lighter, humorous items such as jokes, articles on other cultures, local news and information on government schemes, while maintaining its focus on women’s issues. The newsletter gave the team members recognition and respect not only from the community, but also from the administration for disseminating information. Mahila Dakiya was discontinued in 1999, but in 2002, we took the ideas integral to MahilaDakiya forward and initiated the production of a local newspaper, Khabar Lahariya, as Nirantar’s intervention. Janishala was a residential learning centre for Dalit and Tribal adolescent girlsfrom 2008-11. The program included training the teachers, developing a locally contextualised curriculum and conducting sessions under the Mahila Shikshan Kendra in Banda District of UP (Mahila Samakhya programme of the Ministry of Human Resource Development). We believe that residential educational centres have tremendous possibilities for providing quality education to the girls and women in marginalised groups and communities. A residential facility provides them an opportunity to be free from daily tasks where they are able to engage with education in a focused, intensive manner, and also quickens the pace of learning. Nirantar’s involvement with Janishala was taken forward to Sahjani Shiksha Kendra, Lalitpur, which aimed at empowering and educating the girls of the region belonging to marginalised communities. The curriculum for Janishala was based on transformatory education and feminist pedagogical principles. It combines Nirantar's experiences from the field over the last 10-15 years as they relate to education and empowerment, as well as learnings from our work on mainstream curriculum development and textbook writing. One of the two courses offered in the programme was a short-term course for girls who have either dropped out of the school or are on the verge of dropping out of school due to the poor quality of education. These girls were offered a bridging course and brought back into mainstream schools by admitting them in appropriate classes under the RTE Act. The other course is a longer one, for girls who have already dropped out and hence are virtually non-literate, or girls who have never been to school. They were provided with a comprehensive learning experience and were also able to appear for their 5th to 8th standard exams. Due to extreme poverty and migration, and the fact that education for older girls and women is not a priority within society/the community, there is usually no platform for these women to further their education. The government school textbooks produced post the NCERT’s National Curriculum Framework of 2000 were critiqued for containing numerous factual errors, for distorting facts and for promoting conservative ideologies. In September 2004, NCERT constituted expert groups to review and recommend changes in these textbooks. Nirantar was involved in coordinating a team of teachers and educationists to work together on the Civics textbooks for Classes 6 to 8, published by SCERT, Delhi. The aim was to write in a language that would be accessible to the learner as opposed to writing for the teacher, and to bring in concepts through narratives and experiences of the learner. The books were contextualised in order to make them relevant to a child from poor or working-class family living in Delhi, possibly a first-generation learner in her family. This is the group that forms the majority of learners in government schools in Delhi. 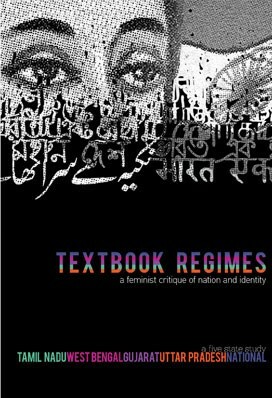 Nirantar also conducted a collaborative study titled ‘Textbook Regimes: A Feminist Critique of Nation and Identity’, which analysed both government- and privately-published textbooks across four states, and at the national level. The participating states — Uttar Pradesh, West Bengal, Tamil Nadu, Gujarat, Delhi — were selected keeping in mind the political context, developments in education and the vibrancy and academic rigour of the Women’s Studies departments. As education is a state subject, the political context becomes important in order to analyse how the gender question and its intersectionalities have been dealt with by states presently espousing different political ideologies and with different political histories. In addition, Nirantar has been part of the Gender Focus Paper in the formulation of the syllabi for political science and in the writing and designing of the textbooks. The Gender Focus paper provides a radical departure from how the education sector has looked at gender in education till now — not merely in terms of breaking stereotypes or in terms of quantitative representation, but into the domain of disciplinary knowledge. A substantive, rather than a merely formal inclusion of gender meant a change in the framework rather than the add-and-stir approach usually used with gender in textbooks. Recognising this, in 2001 Nirantar began with creating a space for reflection and discourse in a context where no such space previously existed. Our intervention began with research studies. We took learnings from the studies to fellow feminists, researchers, development practitioners, educationists and the State. We created and also proactively used existing fora in order to generate an alternative discourse on the SHG phenomenon from the grassroots level up to the national and international level. Our learnings and advocacy efforts also fed into influencing the XI Five Year Plan process and in lobbying related to redrafting the Micro Finance Bill 2007. Moreover, our work also included perspective building and training of community-based NGOs, building a collective voice within civil society organisations, impacting national policies and using international advocacy mechanisms like CEDAW. Perspective building, advocacy and lobbying in order to influence discourse and policy within civil society organisations, donor agencies and the state vis-à-vis SHGs and women’s empowerment. As part of this project, a team comprising Nirantar members and facilitators from SahjaniShiksha Kendra carried out two small research projects – Mapping the Literacy Environment in Two Villages in Uttar Pradesh and Understanding Numeracy Practices Around Weights. The studies gave us the insight to see more precisely the ways in which literacy and numeracy were used in the community, especially with women, and we are presently using this to develop educational material for our field programme in Lalitpur.